Bell peppers can be enjoyed raw or cooked. The mildly sweet flavor makes green bell peppers versatile for a wide variety of nutritious recipes. Red bell are mature green bell peppers with a sweet flavor. 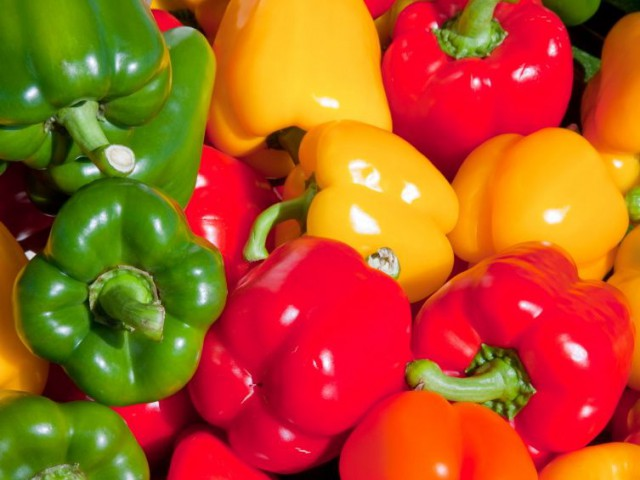 Bell peppers are very high in Vitamins C, E, B6, and low in cholesterol and saturated fat.